Author, Danny Wood, is an MWP regular and works part-time at Belvoir Winery in Liberty, Missouri. 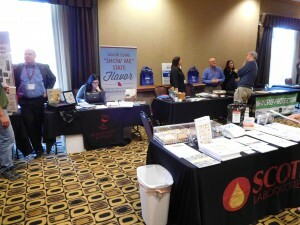 In any case, the speakers I listened to at the Show Me conference delivered valuable, region specific, learning material for winemakers and vineyard operators of all levels. Roughly 120 people attended, including representatives from Missouri’s most successful wineries like, Stone Hill, Augusta and Les Bourgeois. You can see the full program rundown here. All of the conference papers are expected to be available via the GWU website soon. The first talk I crashed – thanks to the GWU’s new director, Dean Volenberg – was Monitoring Ripening for Harvest and Winemaking Decisions, by Joseph Fiola, viticulture specialist from the University of Maryland. The talk focused on the importance of using factors other than just Brix to determine when to harvest your grapes. It all sounded refreshingly old school, but with science and organoleptic evaluations to back it up. Fiola warned that some grapes can be overripe at Brix readings of 22 and others can be under ripe at readings of 23. He also said that when Brix is still going up late in the season, you may have missed the best time to harvest because this increase in sugar concentration can be a result of the grape dehydrating. 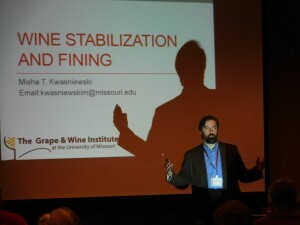 2016 Show Me Grape and Wine Conference Day One, Misha Kwasniewski for the University of Missouri discusses winemaking. 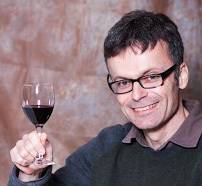 Fiola referred to “Brix Fixation” among some wineries and warned that while Brix can be the key measurement in cool climates, in the warmer parts of the Midwest you have to take other factors like phenols and aromatics into account – and the best way to do that is to taste test the grapes regularly in the lead up to harvesting. Even shaking the vine can be a good indicator of optimum ripeness. Fiola said that in his experimental vineyards he shakes his Chambourcin vines and if 5 to 10% of the grapes fall off they are probably ready. His order of importance for factors indicating optimum ripeness starts with testing fruit derived flavor compounds (you’d need to taste the grapes to determine this). Number 2 is fruit derived aroma compounds (Fiola mentioned a top Riesling producer who could tell when to harvest by the smell of his vineyard!). He said these first two indicators are not necessarily going to be at their best when sugar and acid levels are optimum. Number 3 is reduction of immature tannins and their maturation (again via tasting the grape skins and observing the seeds). Brix, he said, is the 4th most important factor ie measuring sugar and acid levels. To make all these assessments, Fiola said berry samples in the vineyard need to be random, unbiased and representative. In other words, don’t just sample the nice looking riper grapes on the top of the vine – make sure you sample those underneath and in the middle too. And you should estimate the number of shaded clusters and select your samples to reflect that proportion. Also, try and leaf pull to get your fruit as uniformly exposed to sunlight as possible – Fiola said 90% of the difference between grape samples from the same vineyard is a result of their different exposure to sun. I sat through two more interesting talks after Joseph Fiola’s: the GWU’s Misha Kwasniewski’s, covering wine finishing and stabilization; and Oak Solution’s Amy LaHue’s about boosting and maintaining the tannins in non-vitis vinifera wines. Heading back to Kansas City, I was very grateful that there is now one good coffee stop on Highway 70: Old School Frozen Yogurt and Coffee, about a mile from Exit 66.